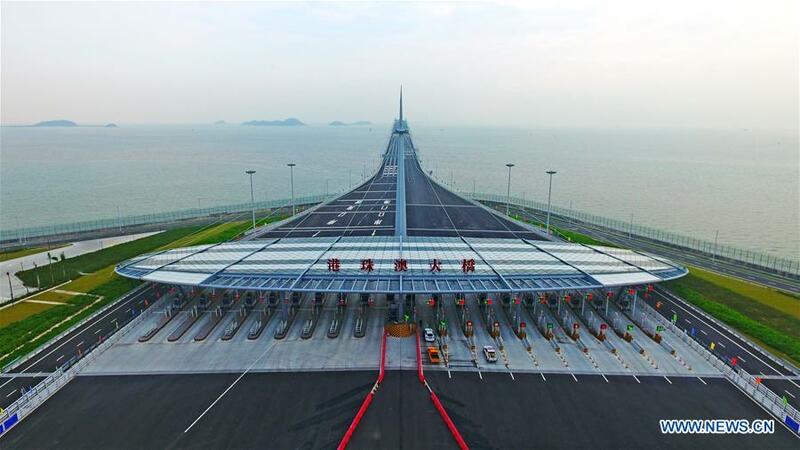 ZHUHAI, Oct. 24 (Xinhua) -- The Hong Kong-Zhuhai-Macao bridge, the world's longest cross-sea bridge, opened to public traffic at 9 a.m. Wednesday. The bridge connects China's mainland province of Guangdong with the country's two special administrative regions, Hong Kong and Macao. Starting on Wednesday, the customs in Zhuhai, Hong Kong and Macao will offer round-the-clock service for customs clearance to facilitate traffic via the 55-km-long bridge.